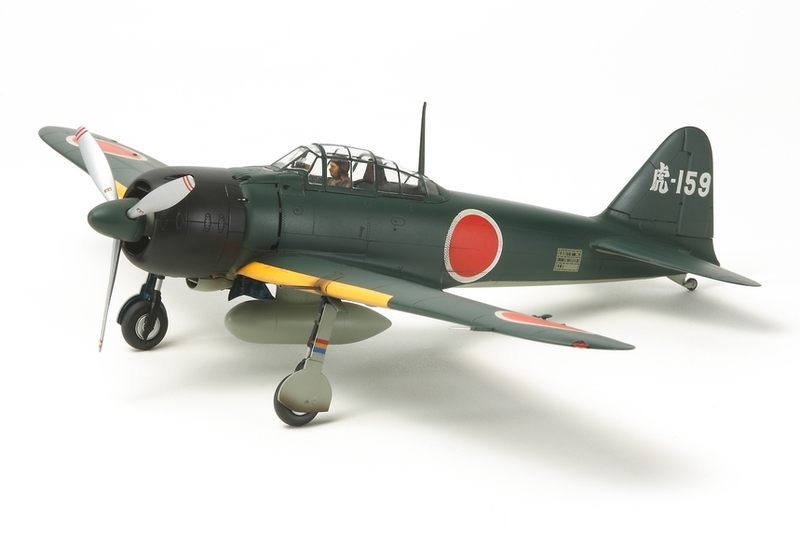 This is a built, painted and finished model of kit item 61108 Mitsubishi A6M3/3a (ZEKE). Tamiya's expert model builders have hand finished this item to be proudly displayed in anyone's office or study. The summer of 1942 saw the introduction of the A6M3 Model 32, which was powered by a Sakae 21 engine and featured an 11m wingspan with clipped wingtips. 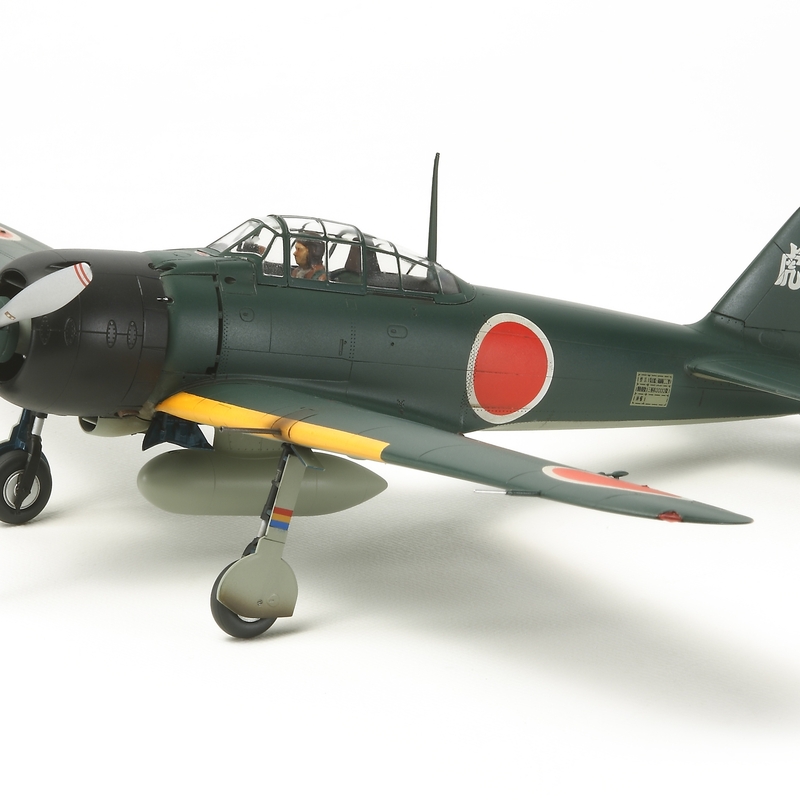 Although top speed increased, its range reduced drastically; therefore the A6M3 Model 22 was rushed into development in order to correct this shortcoming. The 12m wingspan and folding wingtips were reintroduced to regain maneuverability and new wing fuel tanks restored range to 2,560km. The Model 22 (A6M3a) which was fitted with long-barreled cannons was also put into production. Deployed from early 1943, these Zeroes battled U.S. fighters until the end of the war. Special Feature 1 Length: 190mm, Wingspan: 250mm. Special Feature 3 Metal pitot tube and photo-etched parts are incorporated for added detail. Special Feature 4 A light weathering has been applied to the model for greater realism. Special Feature 5 1 pilot figure included.